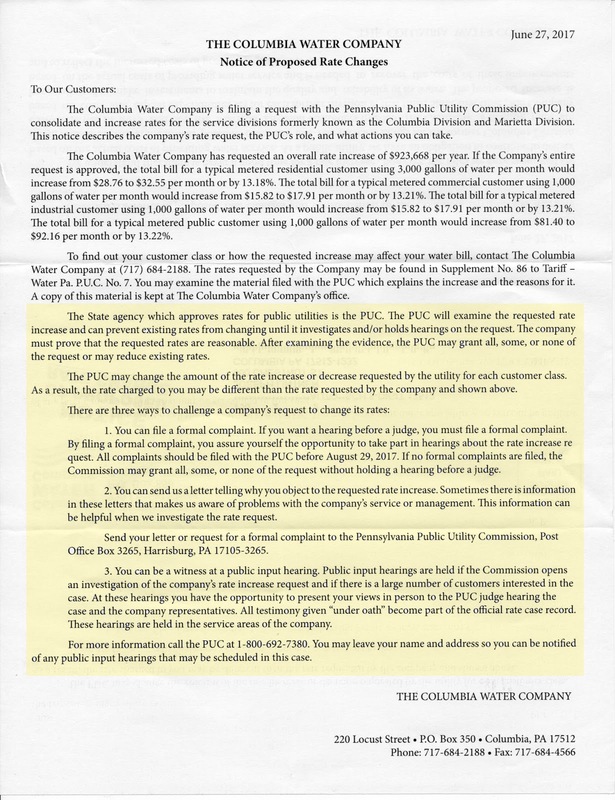 Columbia Water Company customers recently received the letter shown below, which explains how much a proposed increase will cost, on average. 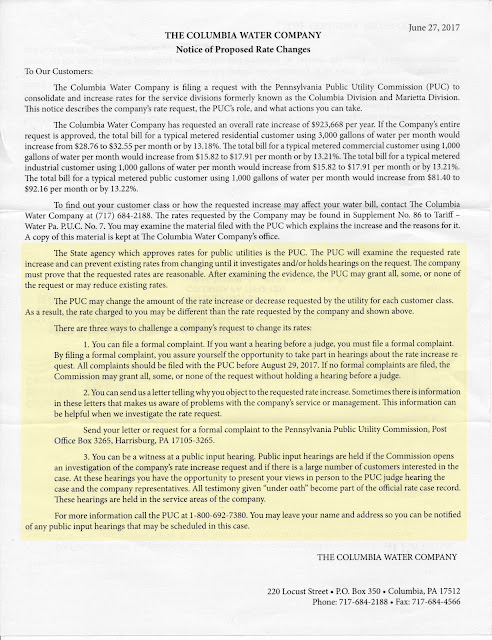 The letter also explains three ways customers can challenge the increase, including filing a complaint with the PUC, writing a letter to the Columbia Water Company, and being a witness at a public hearing if one is held. The last increase for Columbia customers was in 2013. Number two is a joke! Write a letter to the water company!! 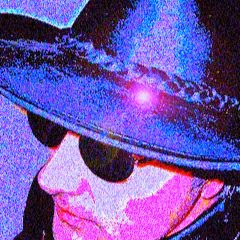 I say lets get the water company audited with an out of state company. The water company is privately owned!! Lets go Columbia and get the ball rolling!! Absolutely we need to let our voices be heard. It seems like quite a lot of extravagance went into the water company property. I thought that one line of our bill already represents our payment toward the upgrades. How much are we expected to carry this borough's every whim. Any spending by council, the school board, and now the water company too. When is enough going to be enough? I hope the landlords enjoy paying to educate their tenant's children and paying for their water upgrades and all the quality of life services Columbia is offering because sooner then later the landlords will be the only property owners left footing the bill.